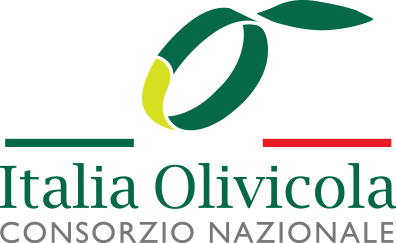 In the Roman Empire, olive oil was an important commercial commodity, while the olive tree was a cultural and religious symbol. Legend has it that the heroic founders of Rome, brothers Romulus and Remus, were born in the shade of an olive tree before famously being nurtured by a she-wolf. In Roman mythology, the goddess of wisdom Minerva is credited with creating the first olive tree, in a legend that echoes the Greek story. The legend tells of a gift-giving competition between Minerva and the god of oceans Neptune. Neptune gave the people a spring of salty water (or a war horse, according to other sources) while Minerva presented them with an olive tree. The people gratefully accepted the olive tree as a source of food, medicine and wood. The olive branch as a symbol of peace was one of the attributes of the goddess Pax (or Eirene in Greek mythology) and the god Mars the Pacifier, both appearing on Roman Imperial coins. In periods of war, rulers sent couriers with a symbolic olive branch in their hands to announce peace or call a truce with their enemies. High quality olive oil was something of a luxury product in those days, so only wealthy people and the nobility could afford to enjoy its delicate taste and nutritional benefits. More commonly, olive oil was used in medicine, religious rituals, as well as for perfume and cosmetics. The medical properties of olive oil were highly valued by ancient doctors. Roman Emperor Julian’s personal physician used olive oil as a base for antiseptic plasters and ointments to soothe pain and heal wounds, cuts and burns, following the records of the famous Greek doctor Hippocrates. Furthermore, thanks to its ability to soothe, moisten and warm the skin, olive oil was used as the base for many perfumes, cosmetics and skincare products. The Romans used olive oil as a cleanser instead of soap when enjoying the famous Roman baths. The procedure included covering their bodies with olive oil and then scraping it off along with impurities with a special wooden tool, which left their skin clean, soft and radiant. The Romans made many improvements in olive farming, olive oil pressing and storage technology. As the Roman Empire expanded, olive cultivation spread throughout southern Europe, stimulating a vibrant olive oil industry and trade. According to some historical records, olive oil was valued to such an extent that it was even accepted as payment for taxes. The sacred olive tree and its oil gave birth to a diversity of fascinating legends, traditions and cultural motifs. Eternalized in classical works of world art, literature and architecture, they will never cease to inspire future generations.